Anil Kumar is an Indian national. Born to a Hindu family, his father accepted Christ when Anil was still young and raised his children as Christians. 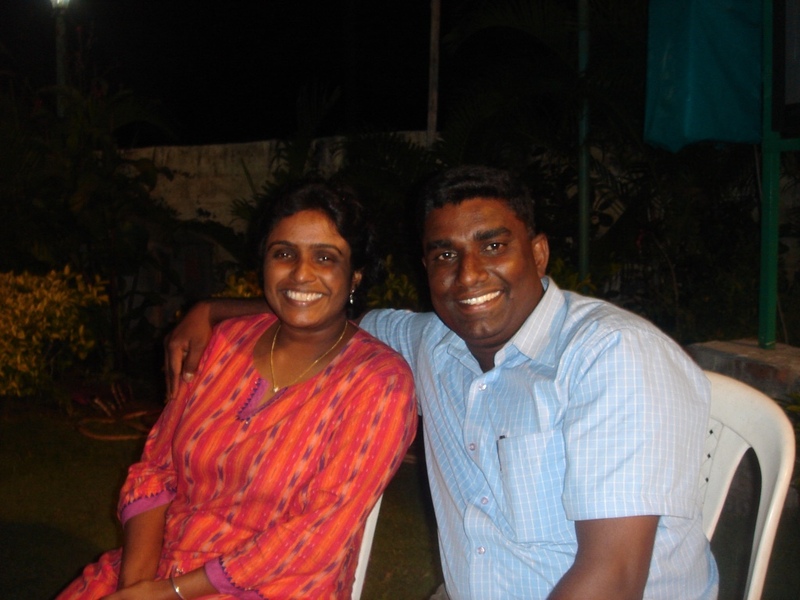 As a teen, Anil felt called into ministry. He studied theology at Sharon Bible College in Kerela, India. After graduating in 1990, he went to work for a missions organization in Delhi. There, he ministered to people living in several of the area’s heartbreaking slums, bringing hygiene, nutrition, and the gospel. One day in 1999, while working in Ambala (near Delhi), he was crossing a bridge. Underneath, he knew there were thirty people, all infected with leprosy, living in the worst of conditions. Having grown up with his culture’s skewed understanding of leprosy, he was afraid and tried not to give it a second thought. But that night in bed, he couldn’t sleep, thinking about all those people under the bridge. With only a hundred dollars to spend, he went back, bringing what he could—basic medical care and some food. Anil Kumar fell in love with those people,and the whole course of his life began to change. The year is 2000. Anil is visiting a leprosy colony in his home state of Tamil Nadu, feeling called to do all he could for the people there. With no money or hope of financial support, all he had to offer was himself. He was sitting with leprosy colony leaders who were skeptical of the young man before them. Anil didn’t know it, but he was being tested. Anil asked for tea. To his surprise, one of the leprosy leaders, hands gnarled by the disease, poured tea into the cup he had just been using and handed it to Anil. Though Anil had been serving people affected by leprosy for the last year, like many in India, he still didn’t know how the disease spread. He didn’t know how difficult it was to contract or how curable it was. And he was conscious of the stigma associated with everyone who had it. The cup had not been properly washed, and he had a choice to make. Now accepted into the community, Anil began the journey to what would one day become Embrace a Village (EAV), a non-profit dedicated to bringing medical care, hope, and the gospel to those affected by leprosy. When Anil left his work in Delhi, he left behind the financial support he had gained there. He was starting from scratch with his new wife, Rose. With very little, Anil and Rose were doing what they could for people. They would visit patients, pray with them, and show them care and love. They dreamed of so much more: binding wounds, bringing life-saving medication, and providing healthy meals. They saw children who needed educational help and a desperate need for the message of the Gospel everywhere. But at that time, Anil and Rose could barely care for themselves. When Rose was three months pregnant, they ran out of money and food. They held out for three days, hoping to share a meal at a wedding they would be attending. When they arrived at the wedding, there was nothing left to eat. Day four, and an American ministry had sent them something in the mail. It was a check for $500! With that money (which started arriving monthly), not only could Anil and Rose eat, but they could begin providing medical care and bags of rice to five leprosy colonies, almost overnight. A friend introduced Anil to Joe Clendenny, an American businessman who said he wanted to help. Anil knew many like Joe, men who forgot about the people of India as soon as they boarded their planes for home. Anil had his guard up. But Joe and Anil had something in common. Like Anil’s frightened decision to visit the people below the bridge, Joe had seen the effects of leprosy just a few months earlier. Though he had told himself he’d never return, he couldn’t unsee the devastation of the disease. He couldn’t talk to his wife about it without crying. Joe was ready to partner with someone in India, and he believed God had led him to Anil. When Joe returned just three months later, he and Anil spent a lot of time traveling together. They developed a mutual trust, respect, and sincere friendship. In 2003, they formed the partnership known as Embrace a Village (EAV). Anil had started with $100 for those thirty people under the bridge in 1999. 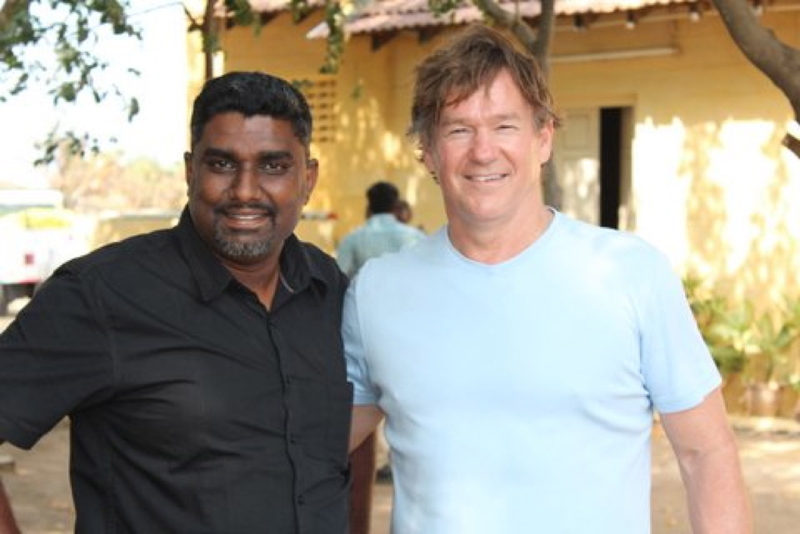 Now, in 2018, together Joe and Anil have ministered to thousands of people affected by leprosy. With a staff of fifty, EAV serves the needs of leprosy victims in thirty-five villages, nearly thirty-five hundred people. They bring medical care for wounds and infections, life-saving medicine, and provide money for surgeries. EAV has 24/7 rehabilitative and hospice care for leprosy patients who can no longer care for themselves. Monday through Friday, the children of those affected by leprosy receive tutoring, nutritious dinners, and Bible training through EAV’s After-School Children’s Program. Monthly, EAV distributes rice to the various colonies throughout the region. Their staff cobbler creates custom shoes for those whose feet have been deformed by the disease. There’s nothing like it in India. And 100% of the people who enter their rehabilitation and hospice center receive Christ as their Savior! Though Embrace a Village has seen tremendous growth in the past several years, the need is greater than ever. In the state where Joe and Anil serve, 100,000 people suffer from leprosy. There are 53,000 women and nearly 12,000 children infected in this small corner of the world. Leprosy can and should be eradicated. But it has been pushed aside and forgotten. By expanding its rehabilitation centerso patients who recover can receive the training they need to re-enter society. By visiting patients who are hiding in their homes, refusing to enter the colonies, but still need medical attention. 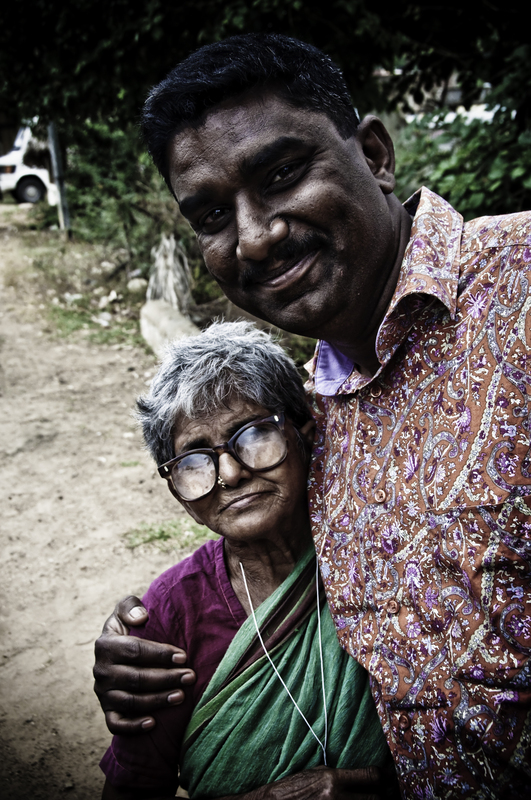 By taking EAV throughout India, reaching more and more people with the hope of the gospel and much-needed medical care. Will you take a second to pray? Is God calling you to be a part of Anil and Joe’s story? If He is, consider donating to Embrace a Village today. Or, become an ongoing member, helping this ministry thrive for people who need God’s love so desperately. Become a part of Embrace a Village today.